Smoking There are 39 products. Fire extinguisher fire lighter. Material: metal. Size: ~ 6.5 * 1.6cm. Weight: ~ 30g. 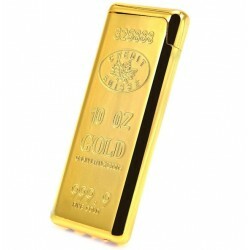 Refillable butane gas lighter. Material: metal. Size: 8.4 * 0.8cm. Weight: ~ 12g. 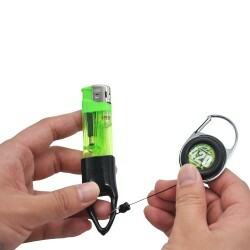 Portable reusable oil lighter. Material: frosted metal. Size: ~ 5.5 * 3.5 * 1.2cm. 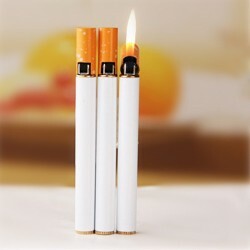 Cigarette windproof lighter. Refilable Dimensions: 9.2 * 6 * 1.4cm. Weight: ~ 38g. Color: sent randomly. 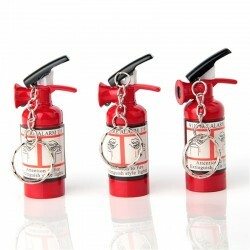 Compact butane turbo jet lighter. Material: metal. Size: 7.8 * 5 * 2.2cm. Weight: ~ 58g. Please select a color. 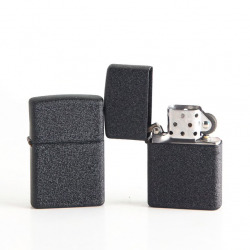 Lighter holder, retractable keychain. Material: metal, plastic, silicone. Length: 600mm/23" (longest length). Diameter: 35mm. ​Weight: 25g. Types sent randomly. 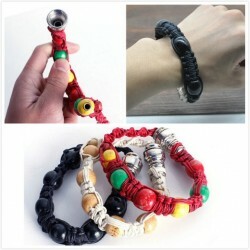 Jamaica style, smoking pipe, bracelet. Material: metal & natural hemp rope. Length: 28cm (adjustable). Weight: 30g. Please select a color. Compatible model: Ego/510 electronic cigarette. Childproof tank lock system. Size: 19 * 118mm. Tank capacity: 2ml. Battery: 1500mAh Resistance: 0.6ohm (15 - 28W) Coil: BF SS316 0.6ohm head Please select a color. 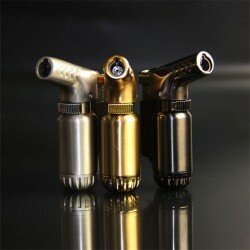 3 in 1 multifunction smoking pipe cleaning tool. Used to clean up the bucket bowl of soot. A needle is used to clean up the flue blocking. Tamper for loading of tobacco. Material: red wood, stainless steel. Folded length: ~ 8.5cm. Knife length: ~ 5.5cm. Needle length: ~ 7cm. Spark plug design tobacco pipe. Material: metal. Cigarette, tobacco case, pocket container. Lightweight and elegant design. A durable aluminum hard case. Easy to open and close. Material: aluminum & ABS Size S: 90 * 58 * 26mm. Size L: 105 * 60 * 17mm. Please select a type and size. Automatic Aluminum Cigerette Case. Material: aluminium alloy. Size: 9*6*2.7cm / 3.5*2.4*1" Weight: 0.06kg. Please select a color. Wooden, Smoking Pipe. Material: resin. Length: 410mm. Diameter of inside groove: 19mm / 17mm. Weight: 75g / 81g. Sizes sent randomly. Tobacco pipe smoking filter. Diameter: 20mm. Color: silver. Amount: 200pcs. Creative revolver design smoking pipe Material: metal. Size: 35 * 27 * 120mm. Please select a colour. Cigarettes holder storage case. Material: aluminum. Dimension: 90 * 57 * 26mm. Weight: 35g. Please select a color. 2 parts, herbs, tobacco crusher, grinder. For: triturating tobacco, herbs, spices, etc. Material: wood + zinc alloy. Diameter: ~ 53mm. Height: ~ 32mm. Special cool design. Material: metal/ zinc. Color: as pictures shown. Inside magnet for not slipping from your hand. Easy to use. Size: ~ 40 * 36.5mm.